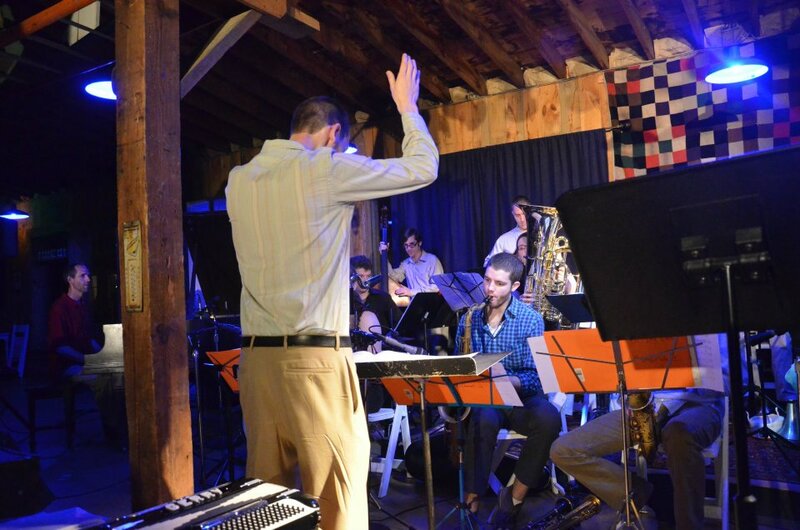 Composer/pianist Brian Friedland's big band works explore a wide range of emotions and ideas, brought to life and enhanced by an accomplished, dedicated 20 piece band. Tinting modern jazz with influences ranging from classical minimalism to techno in attempts to musically reflect on personal experiences. Drawing on diverse sources such as poetry by Robert Frost, Burning Man, and Pacific Coast Highway, and informed by his lifelong study of jazz, Friedland writes music that full of imagery, narrative, and visceral emotion. Grammy nominated composer, USC faculty member, and musical collaborator Kim Richmond describes Friedland's music as "not only professional quality material, but inspirationally crafted, an excellent and interesting mix of art works. He shows his dedication towards creating and performing new music." Many of Friedland’s works for big band were composed while working with New Engand Conservatory’s Jazz Composer’s Orchestra, where Friedland earned his Master’s degree in jazz composition and met many members of his band.